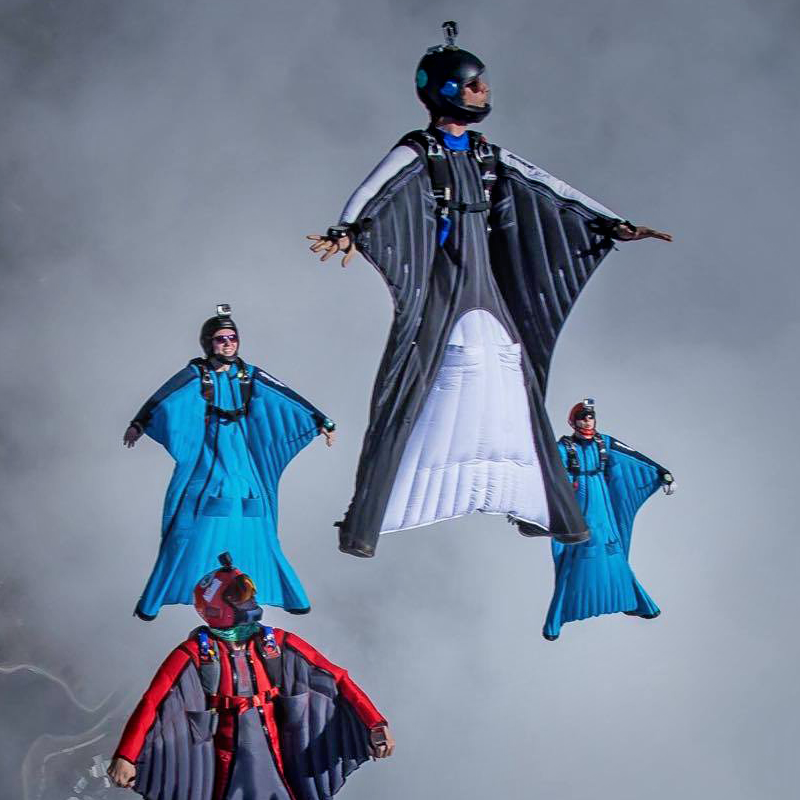 The phoenix-fly magister is a wingsuit designed specifically for both lighter wingsuit pilots, and suitable for formation flying as well as more dynamic acrobatics. It’s gripperless design makes it ideal for more agile forms of flying. In larger flocks the Magister will enable lighter pilots to fly comfortably with others in intermediate sized suits on both belly and back. Featuring a small arm wing profile and the larger legwing sized like the Havok Carve, the Magister provides an increased forward drive, without the added drag a bigger suit usually presents for lighter users. This provided a perfect solution for those who have battled to choose between a Shadow and the Havok Carve. The Magister comes into its own with dynamic aerobatics. Featuring a slightly steeper angle of attack than the Shadow due to the larger leg wing and increase armwing sweep, it generates impressive power to support dynamic flying, and is particularly suited to freefly-inspired acrobatics. We advise a minimum of 35 wingsuit jumps for those interested in flying the Phoenix-Fly Magister. Before ordering your wingsuit, we recommend reading the tabs below for more information, measurements and more. Are you a tall, light pilot, caught between a smaller suit and a Havok Carve? The brand-new Magister is your solution! Its additional speed and lift deliver incremental performance, allowing lighter birds to hang out with bigger suits with ease, without needing additional surface area. It goes without saying that, as with all PF suits, the handling characteristics remain crisp and intuitive. We use various fabrics on our wingsuits, with thicker and more sturdy fabric in reenforced areas such as the knees and booties. Phoenix-Fly offers performance foam in the sleeve of all products. This pre-formed leading edge was designed for the Vampire line of products and has now made it’s way into all other products. The foam makes sure the leading edge is always rounded and smooth, combined with the formfitting shape of the arm-sleeve meaning sharp flying due to the low-drag characteristics of our suits. The foam also takes some pressure of the arm, and gives the wing a more solid feel in flying. Select extra options in our order form or through the color designer. Learn more about our options below. 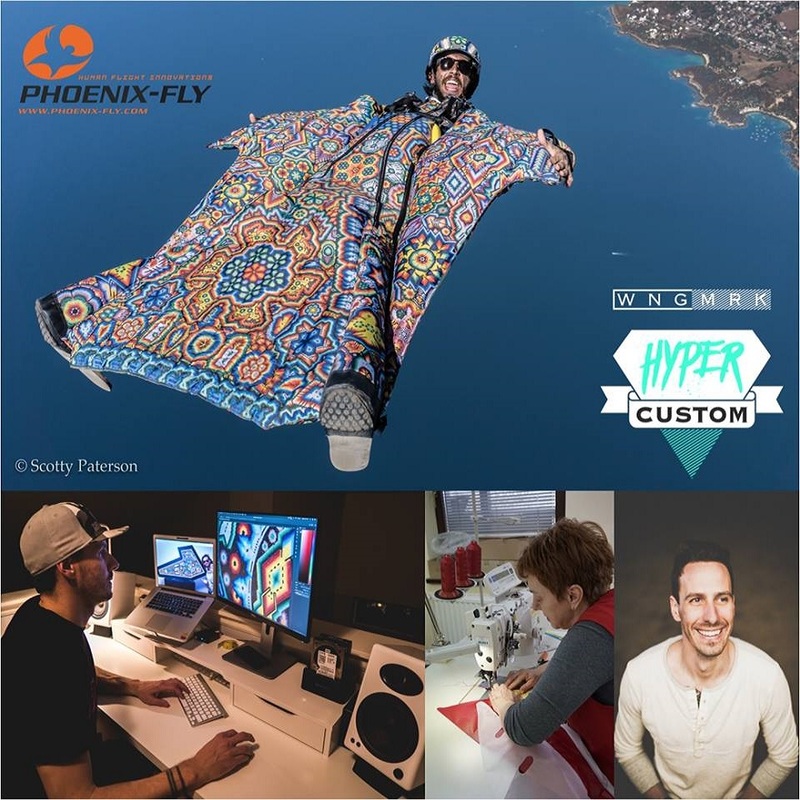 Under the working title of Wngmrk, designer Brandon Russell handles all of the printing needs for the Phoenix Fly line of Hyper Custom printed wingsuits. 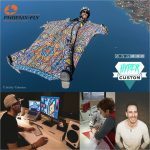 Brandon works with the customers to create their artwork and then manages the printing of fabric that is delivered uncut to Phoenix Fly for final assembly of the custom wingsuits. Together Brandon and Phoenix Fly create graphic suits that are only limited by the customer’s imagination. Through our partnership with FiveTen, we offer BASE soles for our whole range of suits, giving you extra grip during walking or on exit. Phoenix-Fly offer custom designed carbon blades that lead to a new level of sharpness and accuracy in the flying abilities on our bigger wingsuit models. Working in a similar manner to the fins on a surfboard, they give the tail end of the suit a sharper carving ability, meaning tighter flying and faster lines. The fins are available as an option on the Vampire series. Ultra Ultra Light (UUL) is 27 gram, double coated Zero Porosity material, that creates a significant weight save in wingsuit construction. Cutting the weight in half compared to our normal Parapak material, and 1/3rd on our normal ‘ultra light’ option. So far we have been testing UUL in practical situations where we exceded 150+ jumps. without any descrease in material properties. The material it self is of course a bit more fragile than Parapack when it comes to dragging on the floor and rough use. UUL demands some extra care when putting the suit on at an exit points or before boarding the plane but even without that care, impressed us a lot so far in terms of durability. 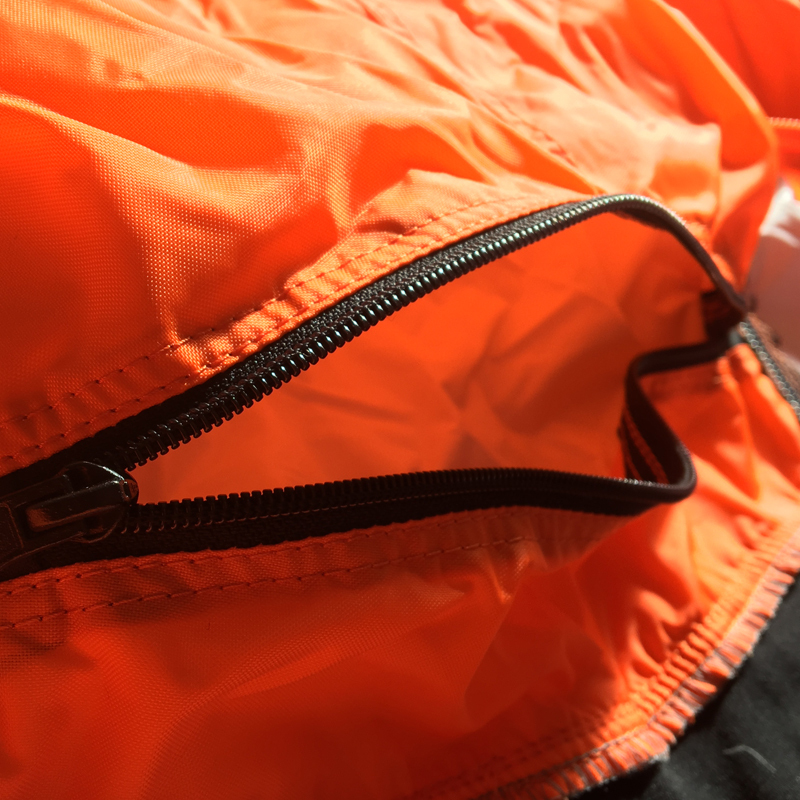 For anyone who wants to minimize the weight and volume of your equipment we now introduce our new UUL (Ultra-Ultra-Light) material as a suit option. When constructed from UUL, the biggest suit in our PF line-up (the Vampire Alpine 2) comes in at only 1,2 kg. A full one kilo lighter compared to a suit constructed from Parapack, and 1/3 lighter than the normal UL material. We can make any type of the suit from UUL material, as well as combining certain panels on the suit made from stronger materials ( i.e. back deflector, back leg wing panel, booties or knees). A suit made with our UUL material has a faster pressurization and slightly better start due to better low drag characteristics. In flying the suit feels the same, whilst before exit, it induces a unique feeling of having no wingsuit on in terms of weight and movement. 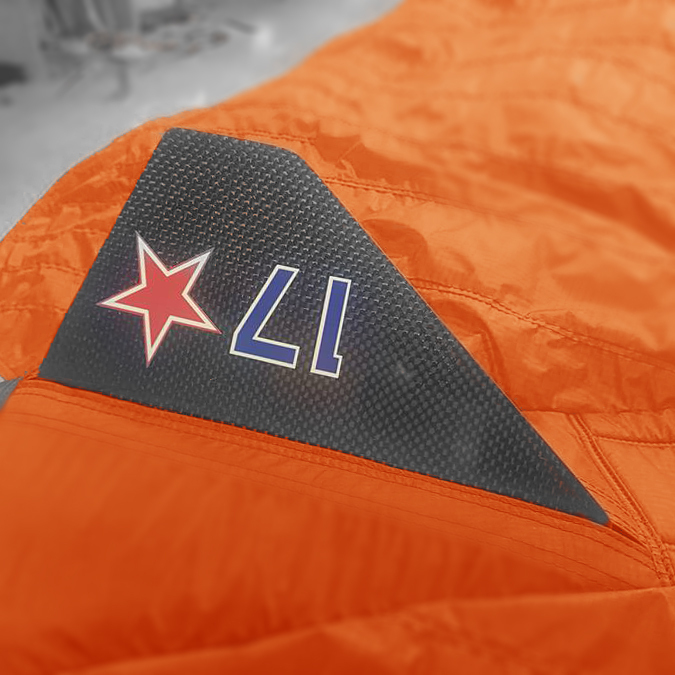 A wingsuit can be made from the UUL material in full, or combined with different materials for various sections off the suit. 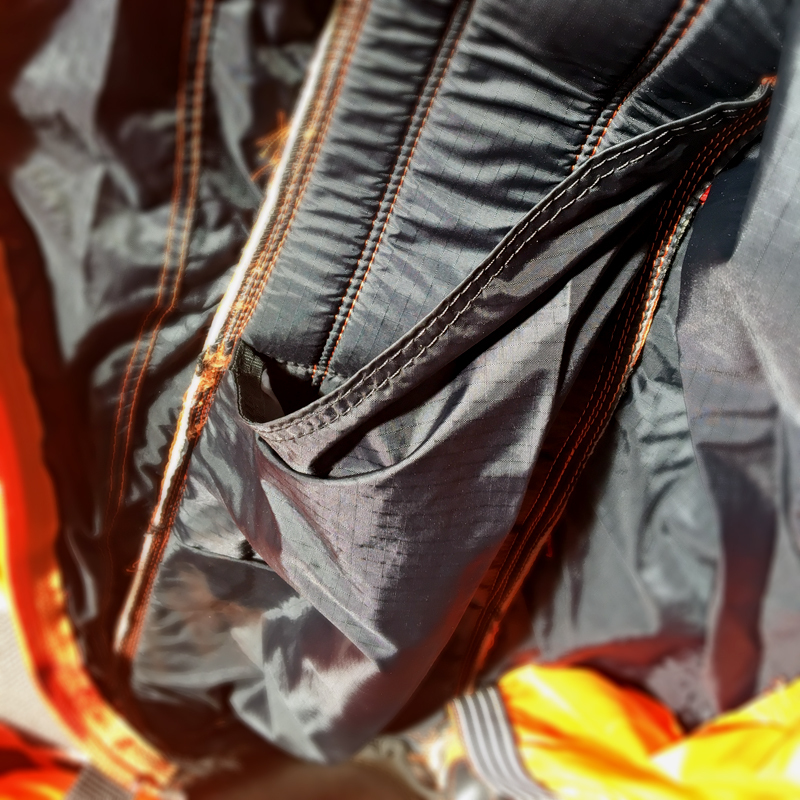 For extreme alpine projects we also remove any additional weight such as double layered reinforcements and fins, and replace the heavy 10mm YKK zippers and profile foam for lighter versions. This will be for specialized projects where each suit feature is tailor made to fit the individual needs, creating a unique suit design in build. Using molded foam, Phoenix-Fly offers a custom shaped leading edge on all its suits as standard. The preshaped leading edge increases airfoil efficiency and flying speed due to better aerodynamics. All our wingsuits have ram-air airlocked inlets, standard on all wingsuits except the Vampire series, as originaly designed by Phoenix-Fly. This puts added sets of inlets on the back of the suit, allowing for inflation of the wings in all orientations. As an option, we offer them on tracking suits aswell. *Prices below only apply for tracking suits. 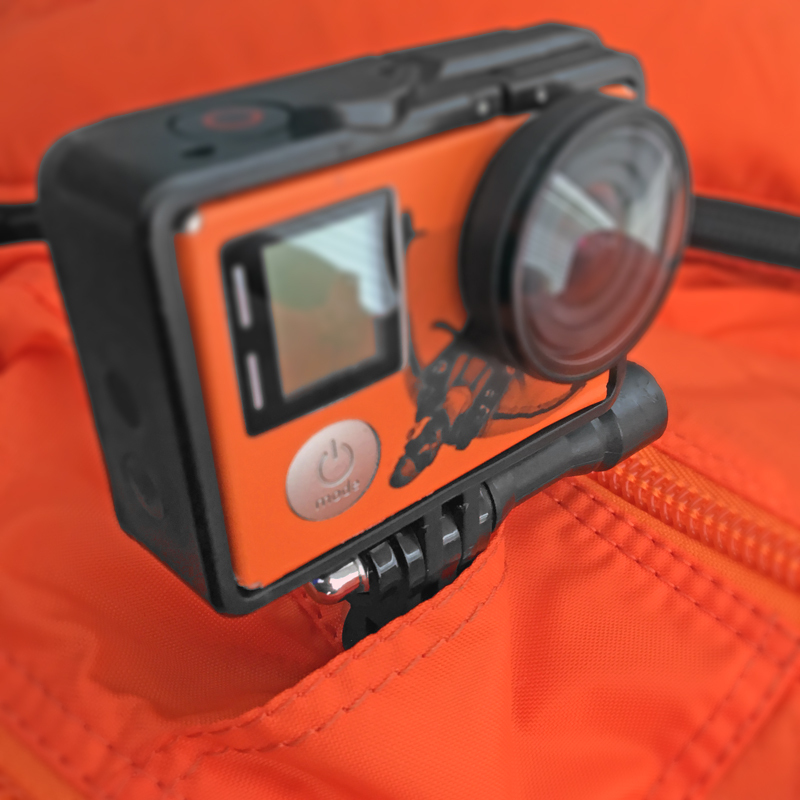 A custom made hole allowing placement of an action camera mount under the suit on the belly. Made as a sleek hole/slit, with a fabric cover. Standard chest pocket for stashing of (smart)phone and other misc items. Available on our full range of wingsuits. Phoenix-Fly does not recommend use of the chest pocket for storing cigarettes, as smoking has negative effects on your health. As an option for basejumping, we offer duel side cargo pockets placed in the booties to stash gear such as hiking poles or ropes for basejumping. 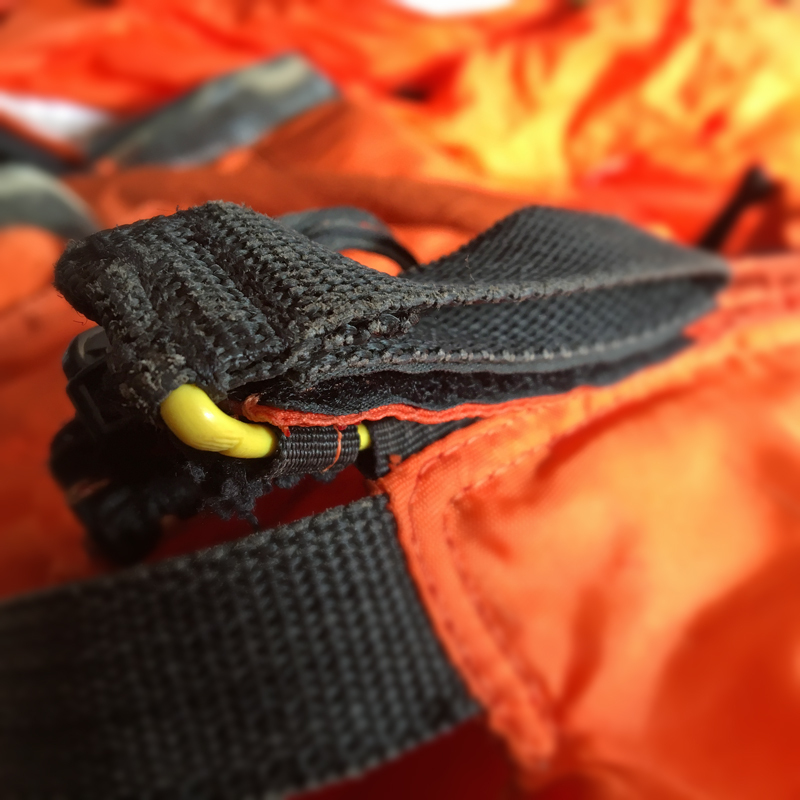 We offer an optional armwing cutaway on all our suits except the Vampire series, allowing for quick release of the whole zipper setup for unrestricted access to gear during emergency situations. On our Vampire range the suits are made with a covered MLW setup that improved airflow and low drag characteristics for base. Standard this is made ‘BASE only’, but optional we offer an added set of chest zippers that also allows ‘classic’ skydiving use. 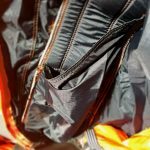 The covered MLW is not available for our beginner and mid-range wingsuits, as there the classic over the shoulder zippers have added benefits in safety and ease of use in rigging. A custom Cargo pocket in the tail deflector to stash gear for basejumping or insertion of a small piece of foam for easier seating during airplane rides in skydiving. 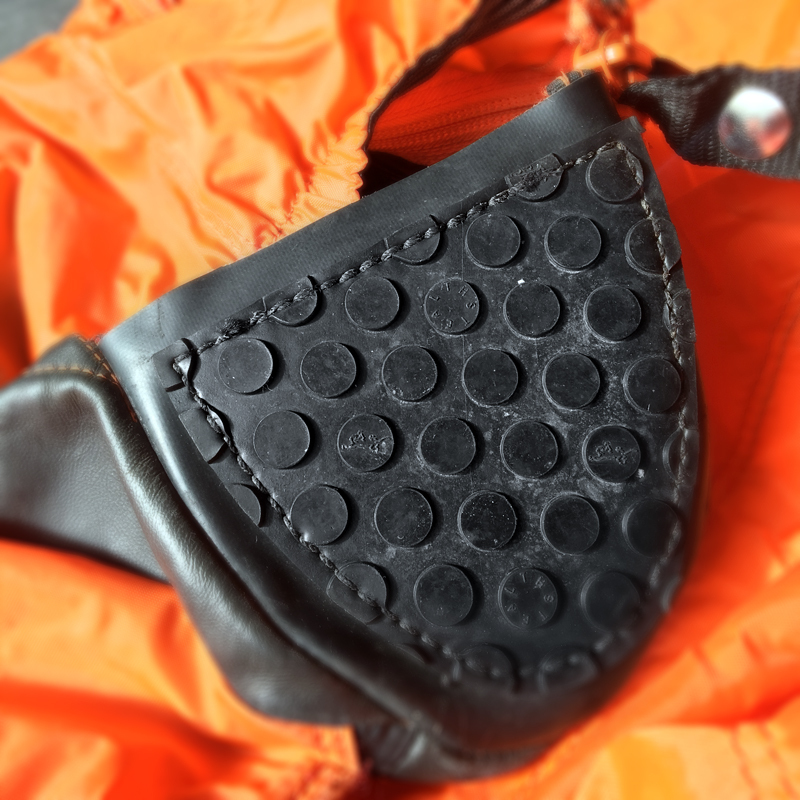 A custom Poles pocket in the inside of the booties to stash your colapsable hiking poles. 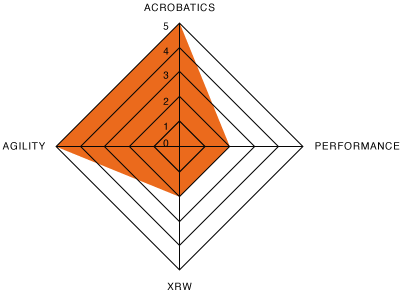 To start, select your new wingsuit based on your experience level and the type of flying you enjoy and are likely to do the most. 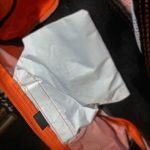 Each wingsuit in our range features a description on this site that will give you a good idea as to which one best fits your needs. If you’re not sure which wingsuit is for you, or you just want some advice, send us an email directly or contact one of our many field representatives for more information. 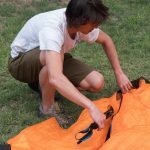 Once you’ve decided on the right wingsuit for you, there are three ways in which you can place your order. 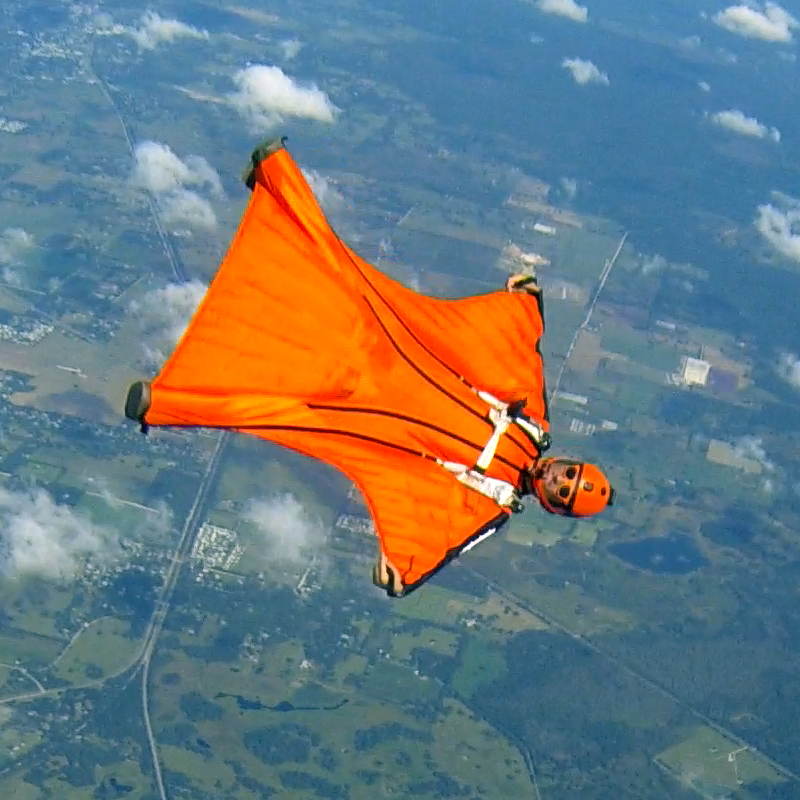 You can opt to order your wingsuit through the Phoenix-Fly color designer. Simply input the various options, sizes and your personal information. The color designer will then generate a digital PDF form that you can email directly to orders@phoenix-fly.com. We will send an order confirmation when we receive your email. There is a digital PDF order form available for each wingsuit in our range. By downloading the latest (free) version of Adobe Acrobat Reader, you can open and digitally fill out this order form, save it, then email the completed form to orders@phoenix-fly.com. We will send an order confirmation when we receive your email. You can place your order through our vast global network of trained field representatives and dealers. They will assist you with your measurements, provide detailed product information, complete all the paperwork and then submit your order. If you place your order through a dealer they will become your point of contact throughout. If you have any questions about your order, your should contact your dealer directly, not Phoenix-Fly as they will be better placed to answer your query. To find a dealer near you, please see the tab ‘Dealer Network’. Orders received will be put in the production queue in the order they are received and built to information on the order form. Only the written part of the form is referenced during construction. Please make sure that your order is only submitted once final and that colours stick to the available pattern. If you are ordering a custom logo design with your suit, submit all files (in vector format) together with the order and a mock-up of the design. Incomplete orders will not be put in the system to ‘hold’ a position in the production queue. If an order is updated or changed after being submitted, we will reset the order to the date of the last received order/client contact. So be sure to only submit completed and finalized orders to prevent further delays. The current lead time on a new Phoenix-Fly suit is around 7-8 weeks. This is always only a rough indication, and no guarantee, as a sudden surge in orders can update/change the lead time substantially. Depending on how long the queue is, Phoenix-Fly offers a rush order service for those in immediate need of a wingsuit. This cuts production in time by half. When lead time exceeds 10 weeks we are unable to offer a rush order service to ensure no further delay to other wingsuits in the production queue. Shipping prices vary per region and will be communicated before postage. The customer takes all responsibility for any additional costs related to customs, import duty and sales tax etc. Please take your measurements carefully. We are unable to make your wingsuit fit you without the correct measurements. Study the diagram to assist you. Get someone to help you, and double check each measurement. Measure yourself over a T/shirt and thin trousers. Do not add anything to your measurements. If we receive incorrect measurements, we will have to charge for modifications. Take all these measurements around the widest part, except the waist. Measure your height, without shoes, standing up straight, arms by your side, feet shoulder width apart. You may find it helpful to stand with your back against a solid surface. Measure the widest part of your chest, stand up straight, arms by your side, muscles relaxed, be careful to keep the tape parallel to the ground. Measure the narrowest part of your waist, stand up straight, arms by your side, muscles relaxed, be careful to keep the tape parallel to the ground. Measure the widest part of your hips, stand up straight, arms by your side, muscles relaxed. Be sure that you measure over the widest part of your buttocks, be careful to keep the tape parallel to the ground. Measure the distance between the shoulder and the floor, without shoes, standing up straight, feet shoulder width apart. Use your other hand to feel the shoulder joint and find the “corner” of your shoulder joint. Measure the length of your body. Be VERY careful with this measurement! Stand up straight, feet shoulder width apart, measure from under the crotch where seams of your trousers meet, straight up the front of your torso to the indention at the base of the throat. Measure the distance between the crotch and the floor. Stand up straight, legs shoulder width apart, without shoes. Make sure the tape is vertical. Measure the distance between the shoulders, lay the tape across the back of the shoulders and measure the distance between the two shoulder bones. Allow the tape to follow the curve of the shoulders. Feel for the bump on the back of each shoulder joint and measure the distance between them. Measure the length of the arm from the shoulder to the bone of wrist. Stand up straight, arms by your sides. Start the measurement at the top of the shoulder, feel the joint with your other hand to find the “corner” of the shoulder. Finish the measurement where the wrist bone sticks out as a “bump” on the outside of the arm. Measure the widest part of the thigh. Stand up straight, feet shoulder width apart with your weight equally supported on both legs, muscles relaxed. Make sure you measure the widest part of the thigh. Measure the widest part of the bicep, with the muscle relaxed. Stand up straight, with your arms by your side, measure the widest part of the bicep with your muscles relaxed. Measure the widest part of the wrist. Include your shoe size, remember to specify the type of measurement UK, US or Continental. For the track pants and jacket the leg measurement is required. Stand up straight, feet shoulder width apart and measure the distance between the hip bone and the ankle bone, ensuring the tape remains straight. Phoenix-Fly recommends using a decent length bridle and pilotchute in combination with wingsuit flying. 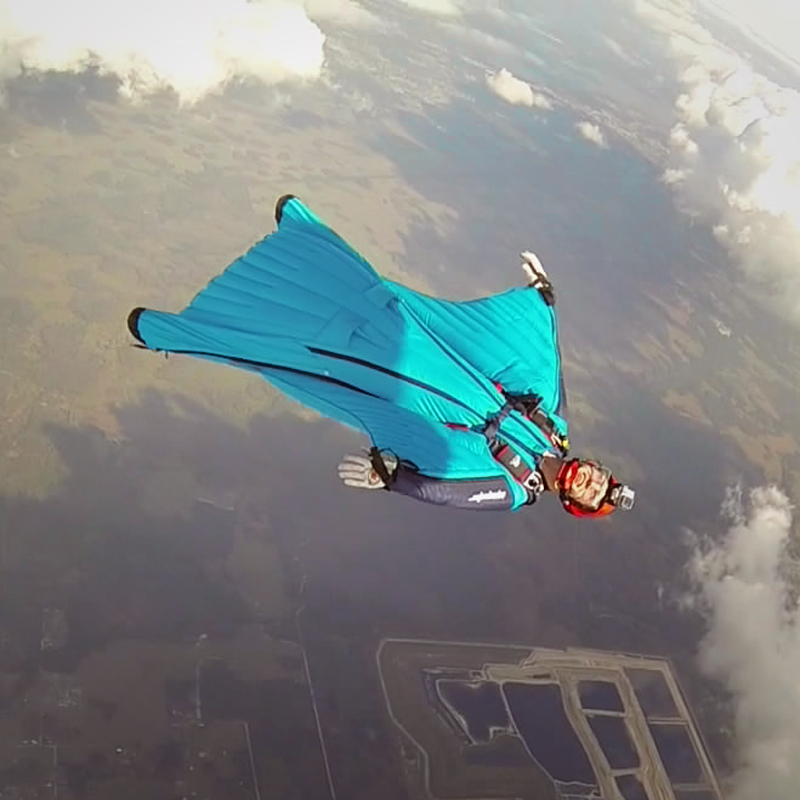 Most modern skydiving gear is perfectly suited for wingsuit flying without needed modifications. There are some container modifications possible in case of experiencing opening delays, but we don’t advise to do so before consulting a rigger. Advised bridle length is between 6’ – 9’, advised pilotchute size between 27’ – 32’. 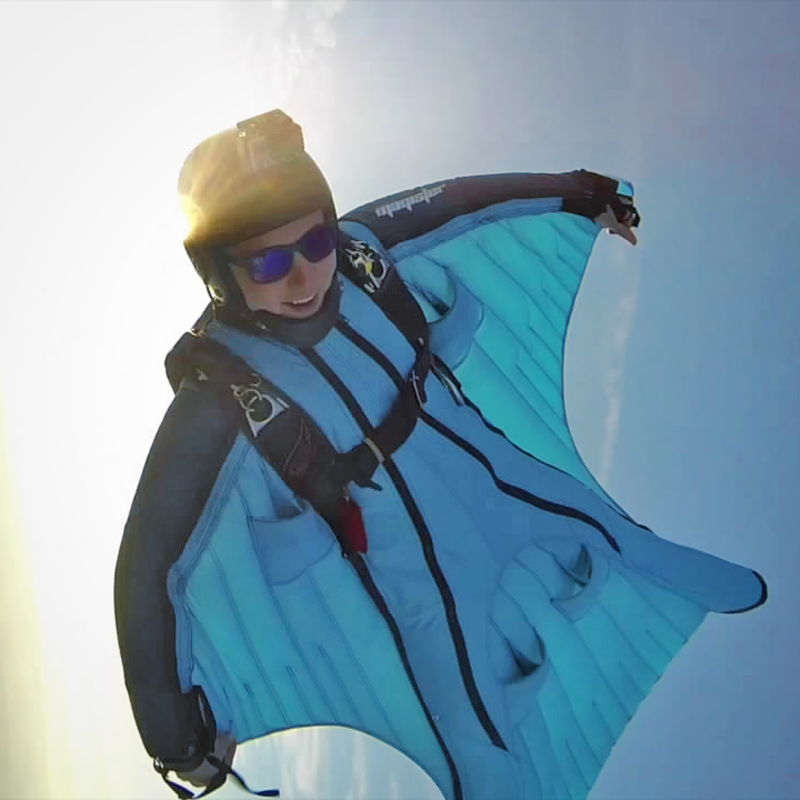 Only for bigger format wingsuits, when combined with higher experience level, do we recommend a slight upsizing in bridle and or pilotchte size. We don’t recommend going over 9’ in terms of bridle length. Note: These are only advised sizes, and its always good to consult your local wingsuit coach or gear manufacturer for more tailored advise. In terms of packing in skydiving, its advised to have bridle routing coming to and from the from bottom of the container. For the pilotchute handle we advise orange tubing or freefly pud for added security in the plane and (optional)backflying. 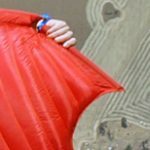 Its encouraged to avoid pilotchute handles with substantial weight and/or single attachment points to avoid problems with bridle entanglements. 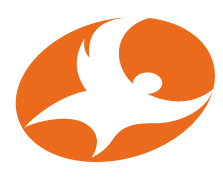 We regularly get questions about working at Phoenix-Fly. The team of people we work with are highly skilled professionals. People making positive contributions to the sport, showcasing a workers mentality, having outstanding skills in flying and coaching will automaticly be people we notice. From there, if the need arises we will always seek out talented individuals for positions within Phoenix-Fly if available. Due to the high safety requirements, we are not able to hire based on resume or emails, and can’t offer any internships or on the job learning experience. If you showcase talent in the sport, we will find you. We sometimes get asked why we no longer use the stretch material escape sleeve, as featured on some of our earlier designs. In our extensive testing process, we found that the loose sleeve design made for a significant decrease in agility, and introduced a lot of movement of the suit on the body. This could result in unwanted behavior in flight, introducing unexpected turns or dives. We believe a smooth leading edge, and tight adhering to the human form leads to the highest form of control and safety possible. Creating a safer flight experience for the user. 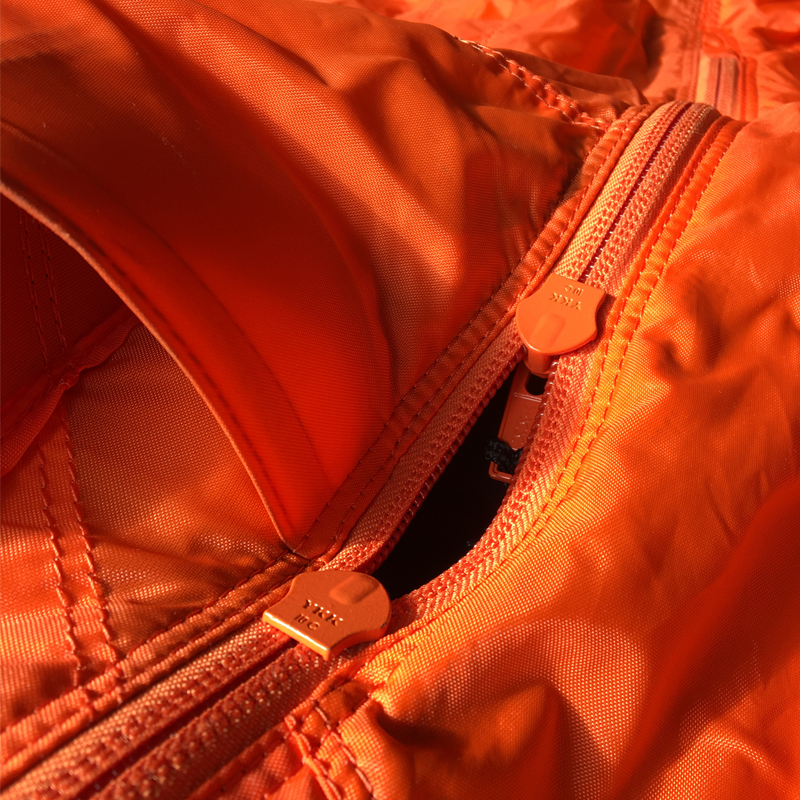 For added safety, the robust YKK zippers are always backed up by a tried and tested cutaway system, as designed by Robert Pecnik back in 1999. Based on the cutaway system as used on skydiving rigs. Presented here is a brief video manual on rigging your wingsuit. 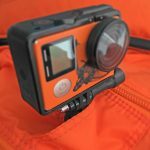 This manual applies to all current wingsuit models Phoenix-Fly has on the market with the over the shoulder zipper attachment. If you want to give your wingsuit a wash, put it in a laundry bag, and put it in a machine on gentle/cold cycle. A small bit of detergent is possible, but not needed. Important: Do not spin-dry or use any form of heating during the process. 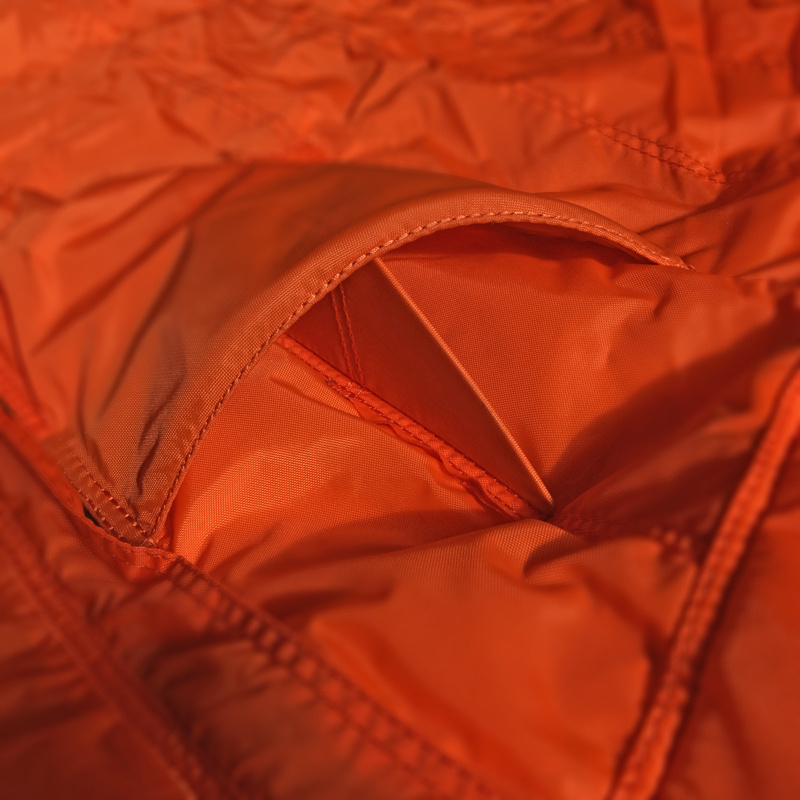 After washing, it is possible to give a wingsuit a thin coat of ScotchGuard or similar protective product to keep the suit clean.